E learning platform pre and during course to practice theory. for 24 months from assessment date. Complete the enrolment form and the trainer will be in contact with you regarding payment. The courses are run by Phil Sadler SLSGB Trainer/Assessor and Senior Lifeguard. 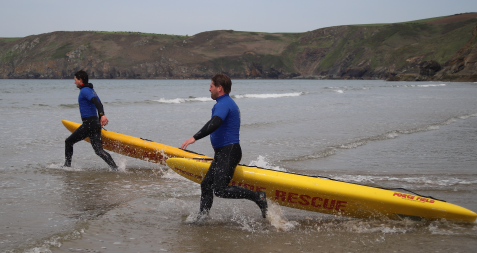 Being a senior lifeguard for the area, Phil brings local knowledge of lifeguarding along with over 20 years of surfing experience giving the highest standards in ocean based rescues.